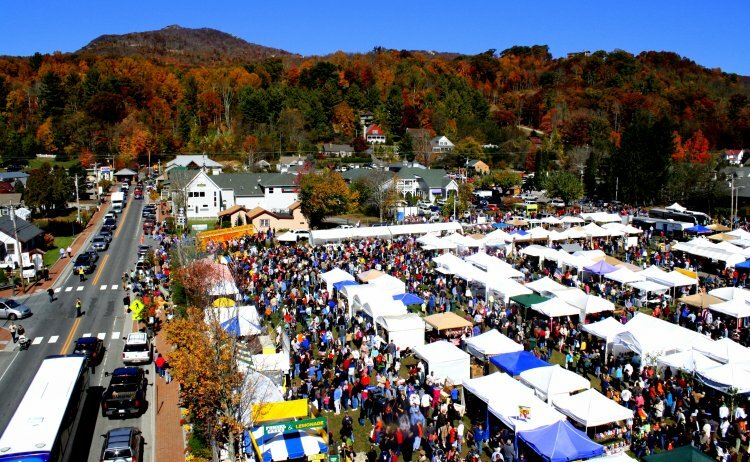 For 40 years the town of Banner Elk has welcomed both old and new friends to the annual Woolly Worm Festival. This family event co-hosted by the Avery County Chamber of Commerce and the Kiwanis Organization of Banner Elk welcomes more than 16,000 people to the community to make family memories, the chance to earn the prestigious honor of predicting the high country winter weather and win the $1000 bounty! Come early because the fun begins at 9:00 a.m. on both Saturday and Sunday, with entertainment all day. Bring your dance shoes because you never know when a line dance will begin. There's great music by local groups, and make sure to check out the Wace Stage for impromptu guests! Participants wishing to race their worm may register at 9:00 a.m., and shortly after that, the races begin. 25 worms compete in each heat. Races fill up quickly so we recommend you register early. Saturday's winner earns the esteemed honor of predicting the weather for the upcoming winter and a $1,000 prize is provided which we hope the worm shares with its owner. Sunday's winner might not predict the weather, but it does win $500. Come enjoy the camaraderie of the day and cheer on your favorite Woolly. For more information contact the Avery County Chamber of Commerce at 800-972-2183 or visit our website at www.averycounty.com.